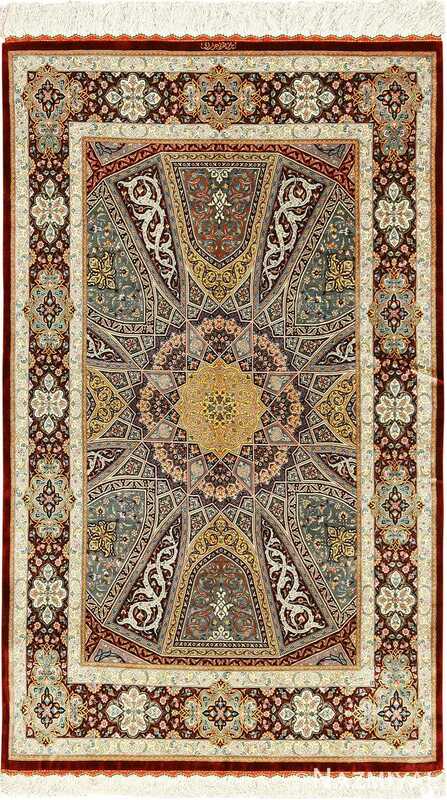 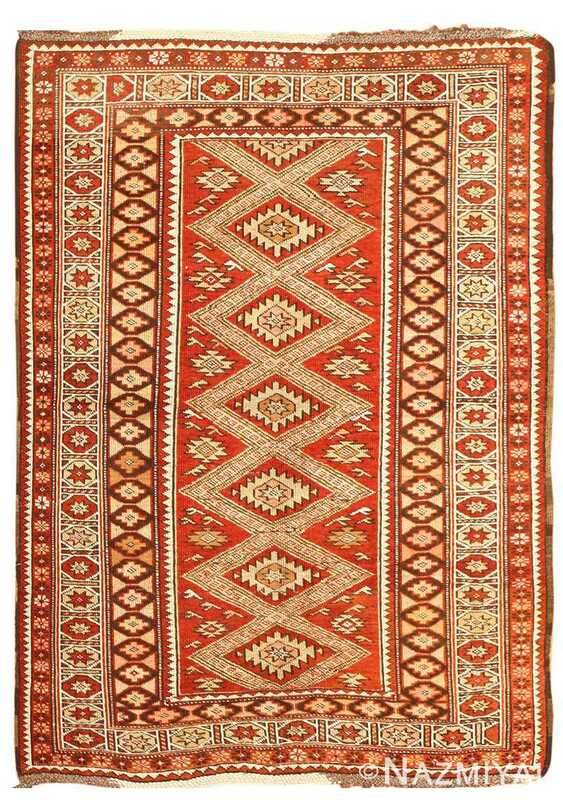 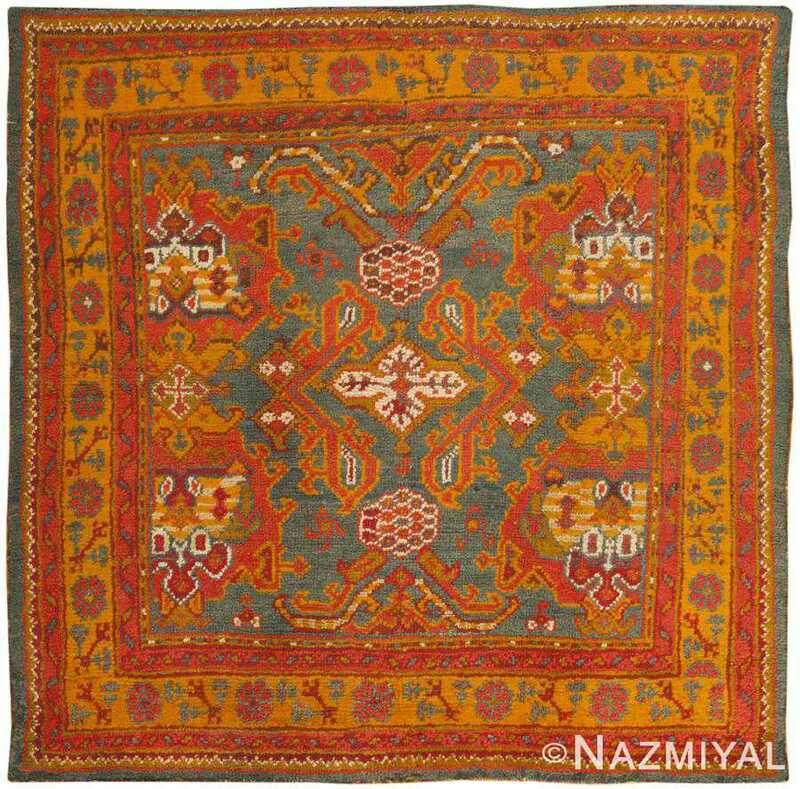 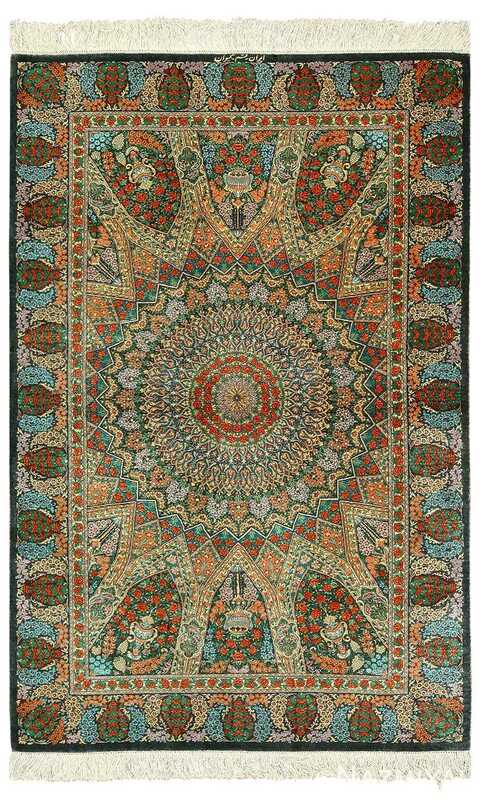 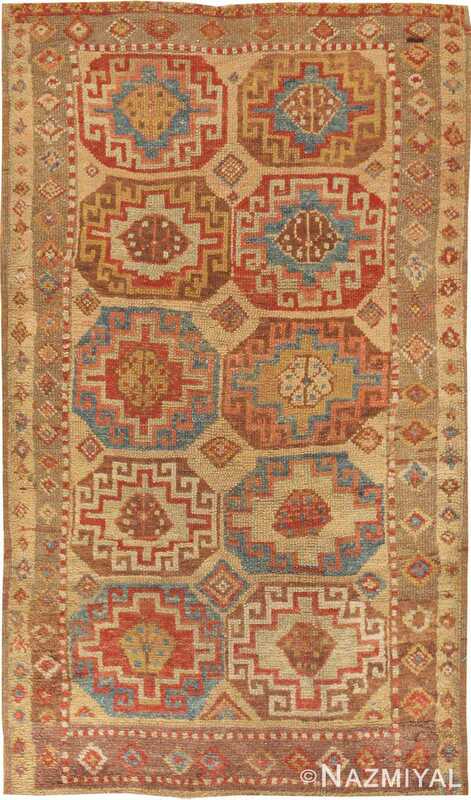 Small Mats on Sale – Nazmiyal antique carpets has one of the most comprehensive collections of extra small mats from every major rug producing nation in the world, such as Persia, Turkey, the Caucuses, China, and Europe. 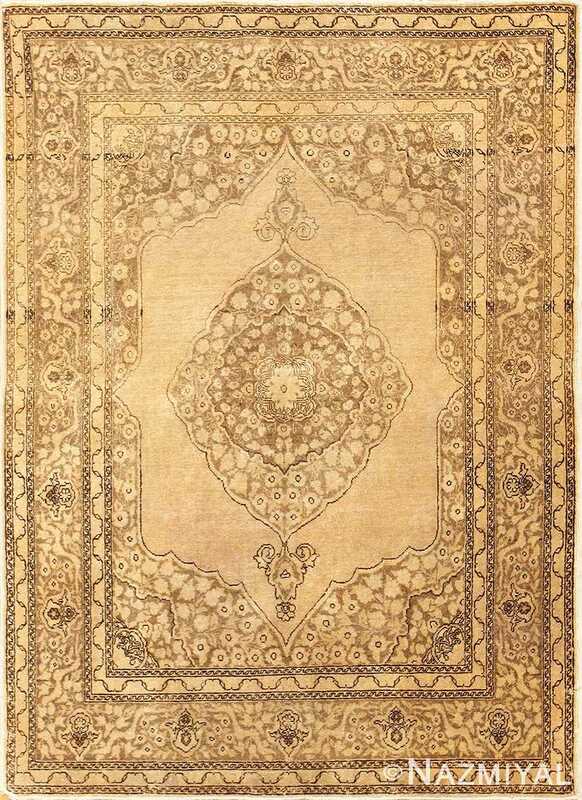 Unlike many larger rugs, our small mats on sale can be perfect for those who are looking for an even more versatile selection of tiny rugs to unify their area’s decor. 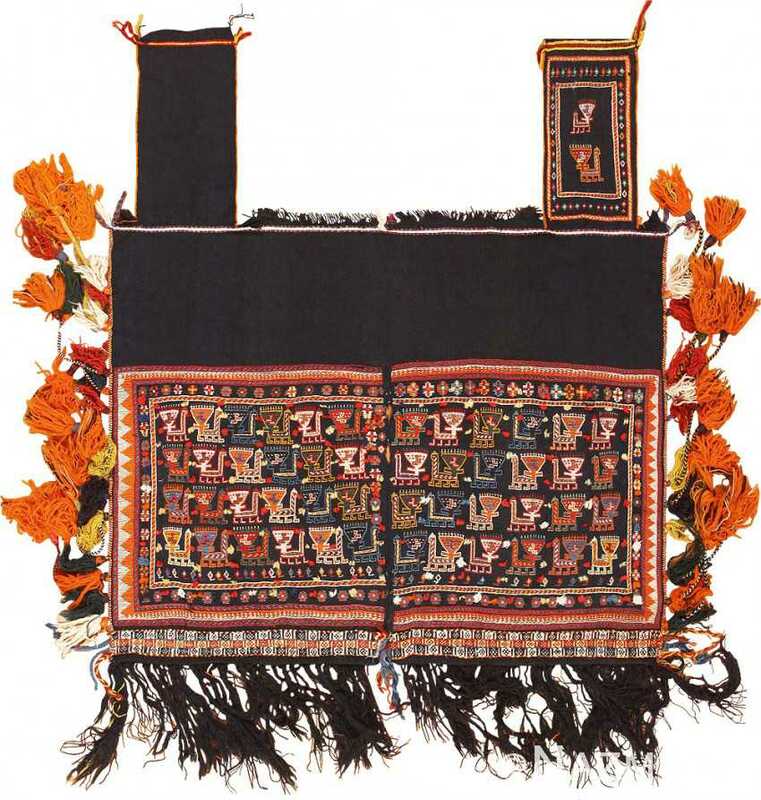 These small mats for sale may vary in size and even shape, providing individuals with a diverse selection of options that can suit their needs. 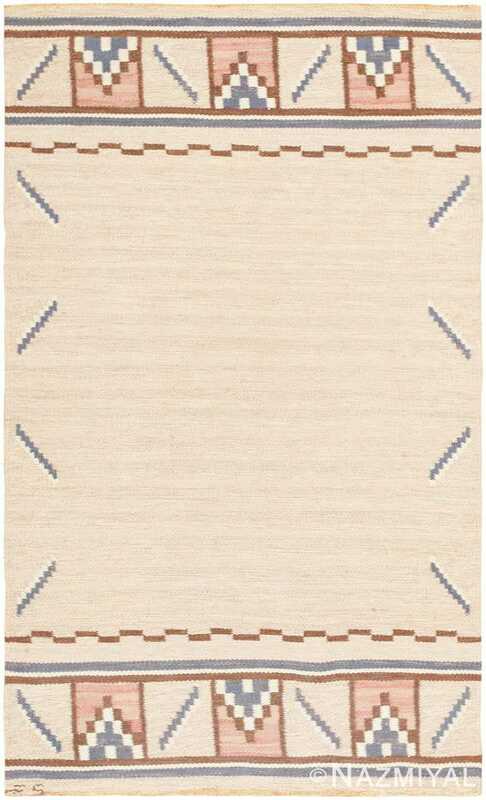 Depending on what type of area you want accented, these mats can be extremely versatile. 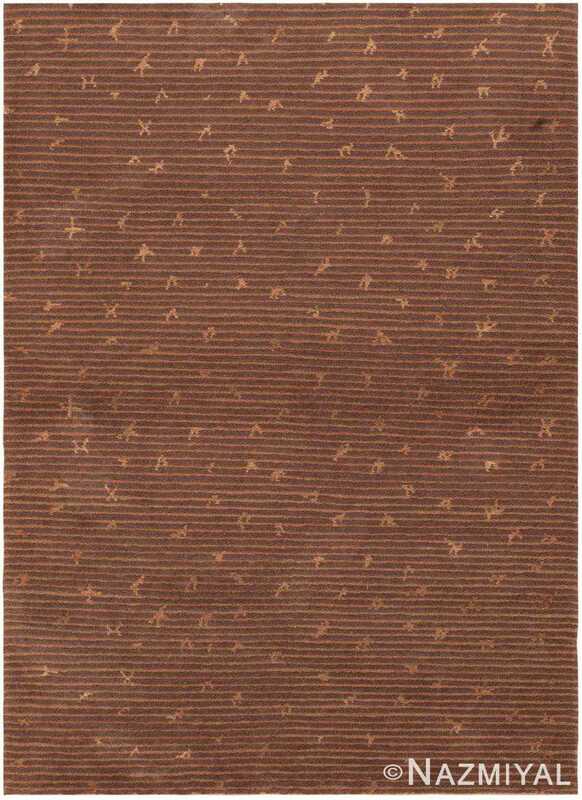 In addition, while these little scatter mats are on sale, they are extremely affordable. 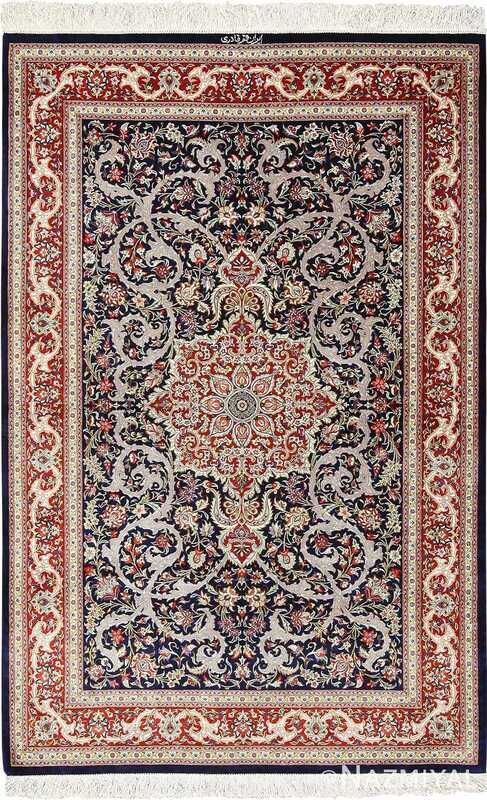 Many decorators love using them in smaller sections where rooms connect, such as elbows and entryways. 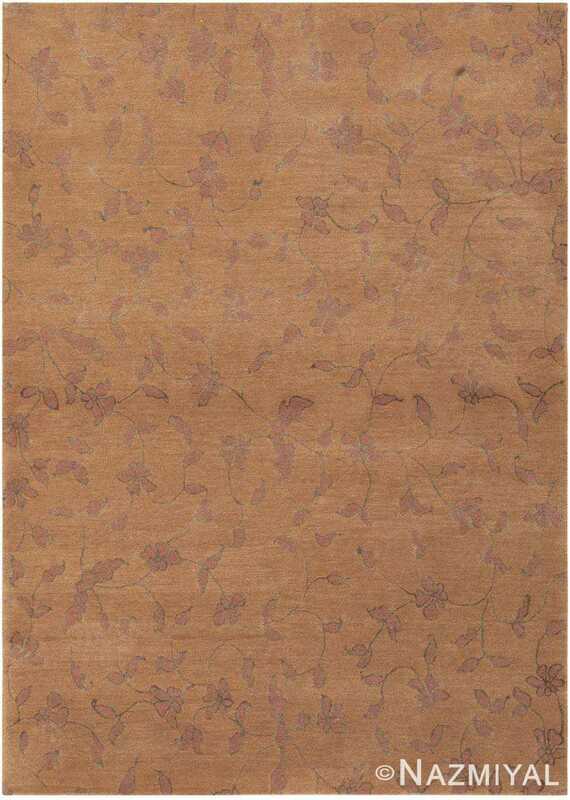 Individuals may also apply them to smaller spaces like patios, balconies and dining areas. 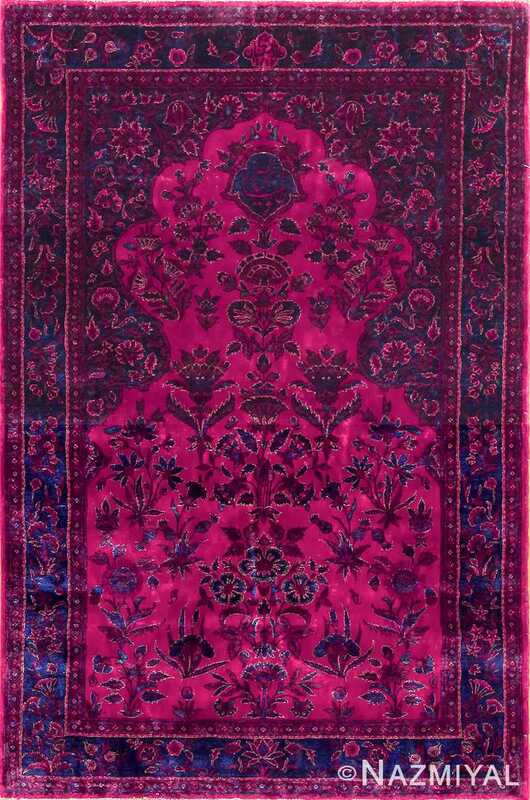 Because of their very small mat size, they may be set effortlessly with larger rugs as well on tables, in bathrooms or closets. 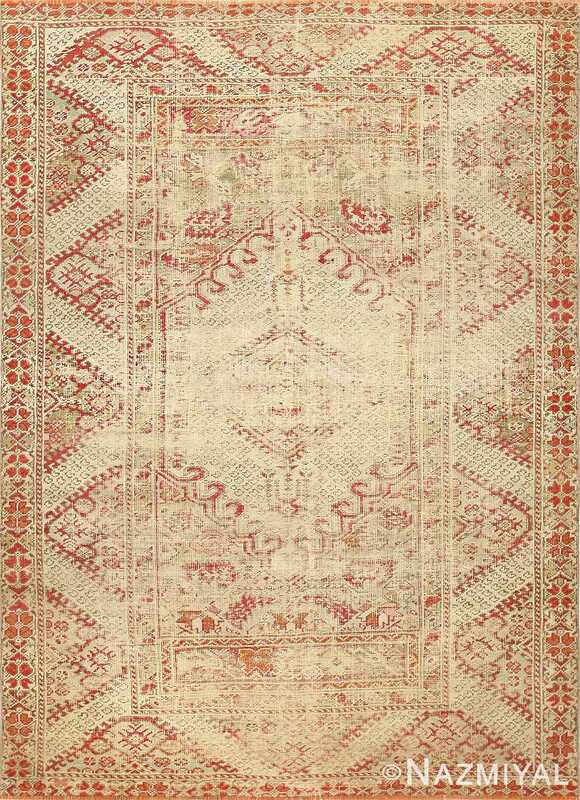 Our antique mats for sale come available in all types of colors, and they can be invaluable for their attention-grabbing features. 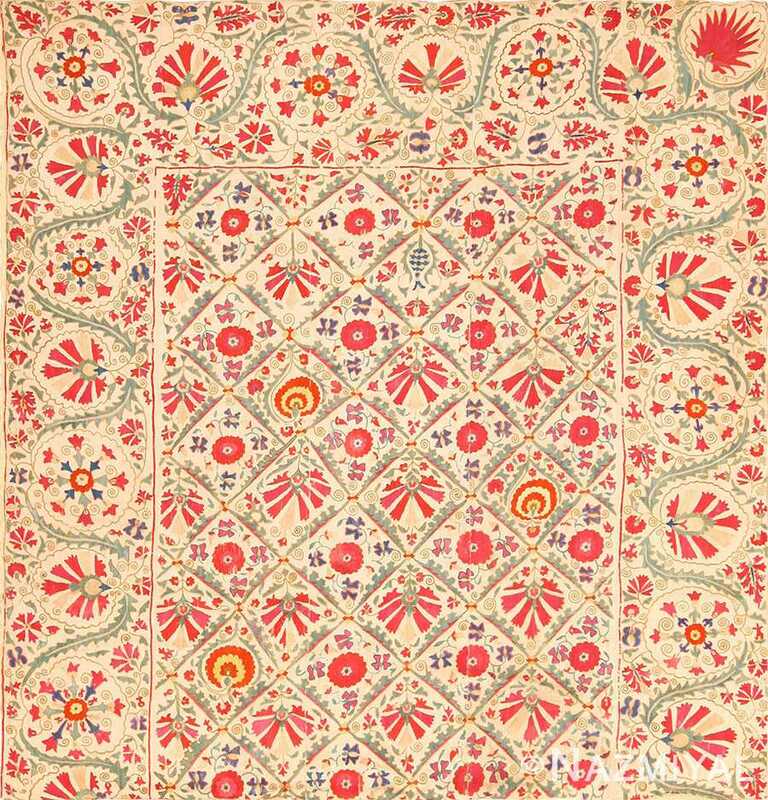 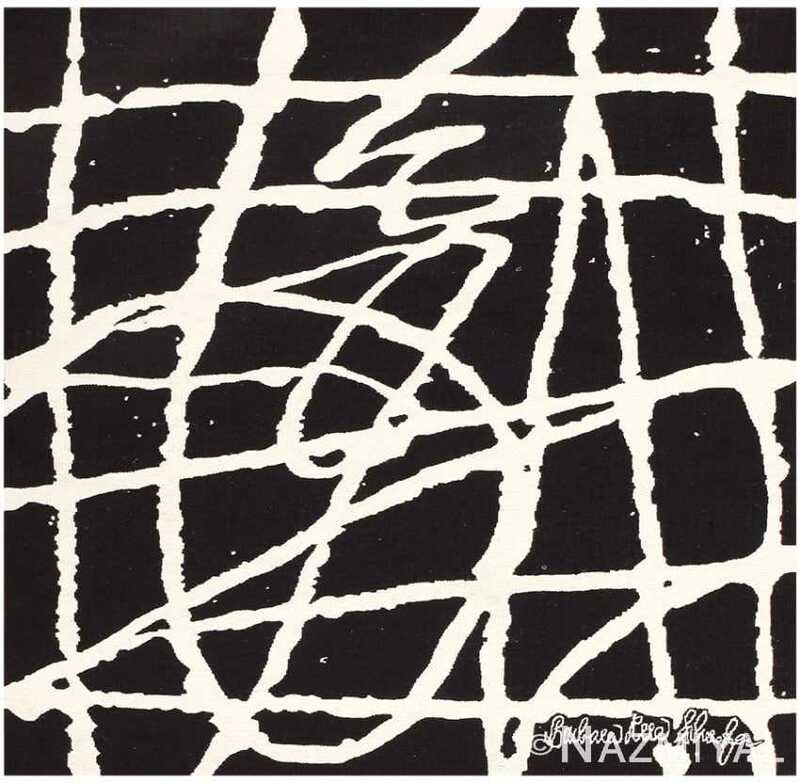 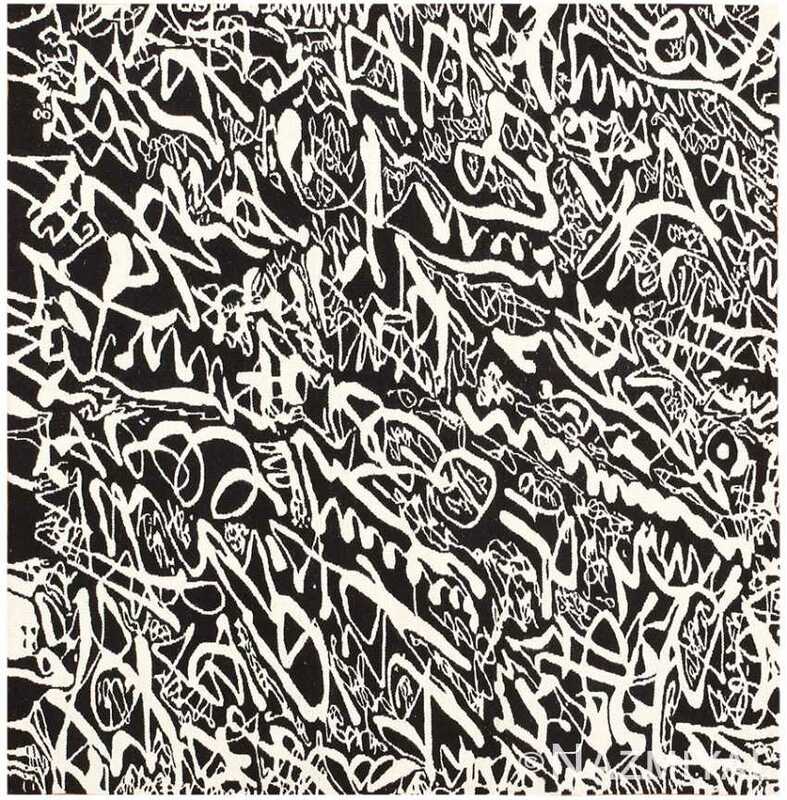 Their versatility also lends well to specific motifs that the individual may have in mind. 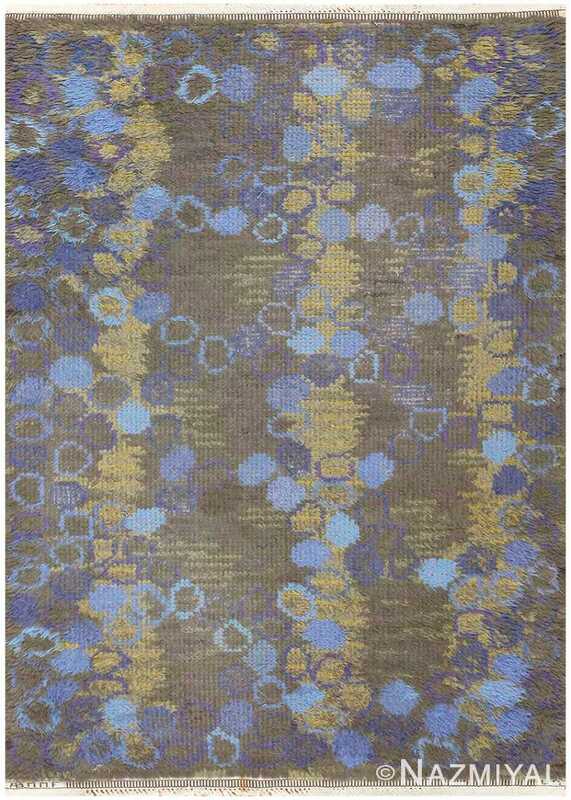 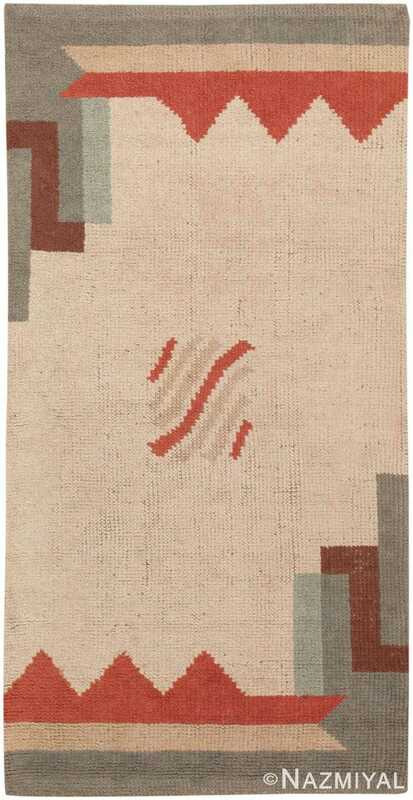 These tiny area rugs may be decorated with all types of primary styles. 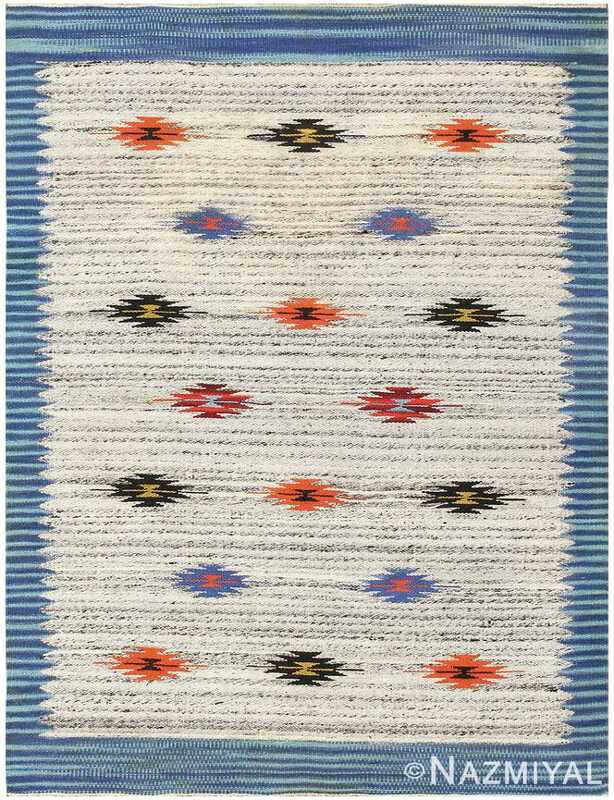 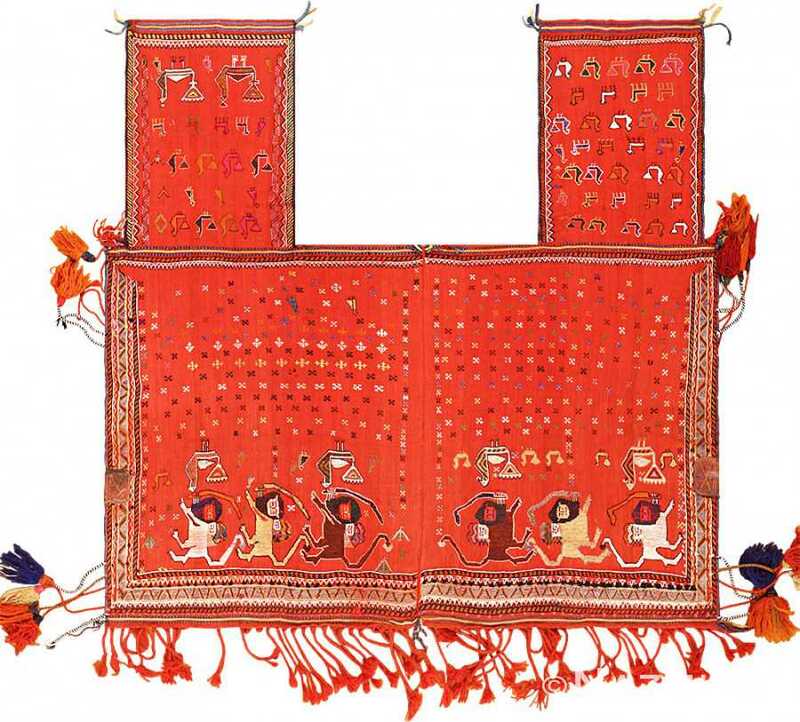 Everything from Indian to Caucasian can be found on the rug’s surface, and it is not uncommon for many individuals to selection modern style pieces that can work well with a relatively minimalist decor. 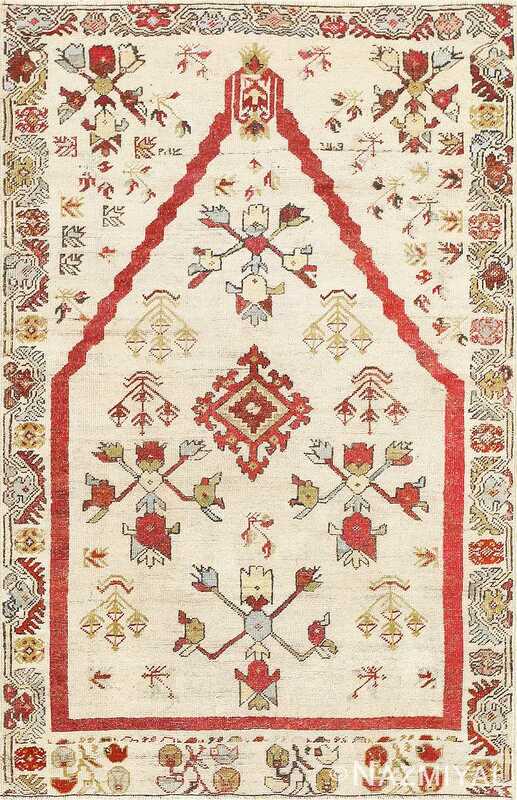 Due to their affordable price ranges, the antique mats on sale offer a unique opportunity of making beautiful and thoughtful gifts. 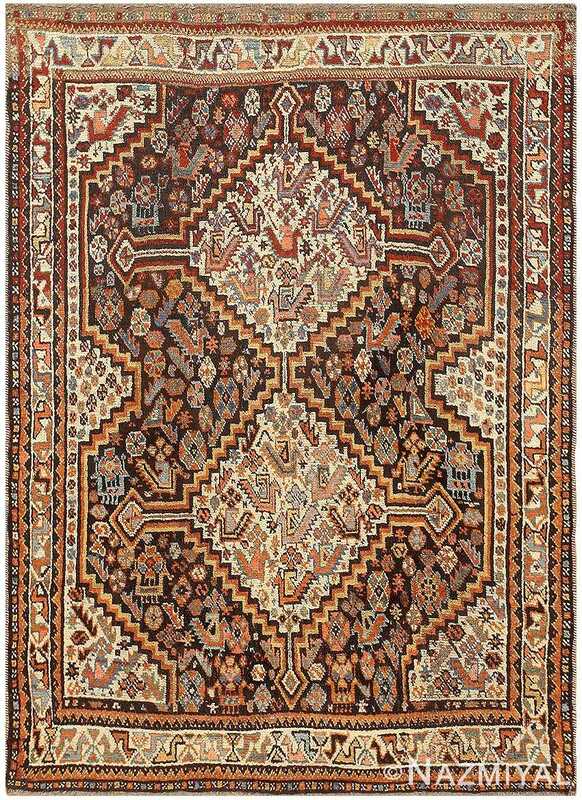 Woven in the late 19th century, this Konya dragon carpet features brilliant Terra Cotta and Persian blue accents set over a warm ochre background. 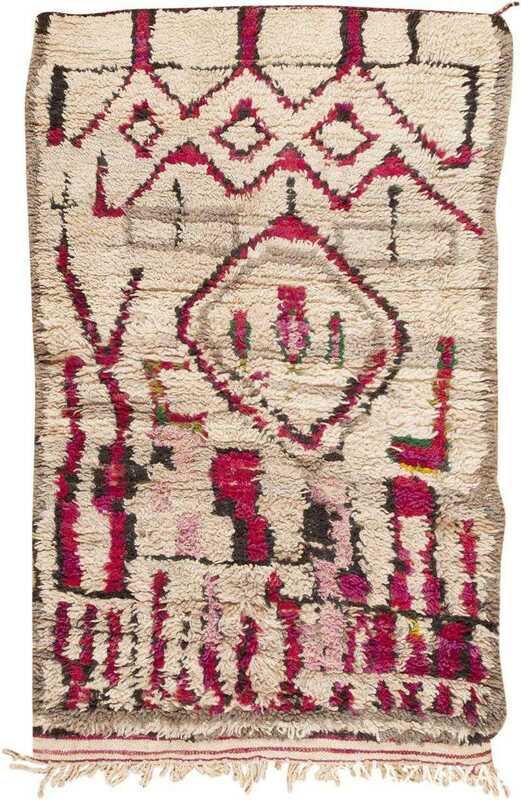 This striking Moroccan rug features strong geometric patterns and bold magenta details that create a variety of abstract patterns layered over a neutral background. 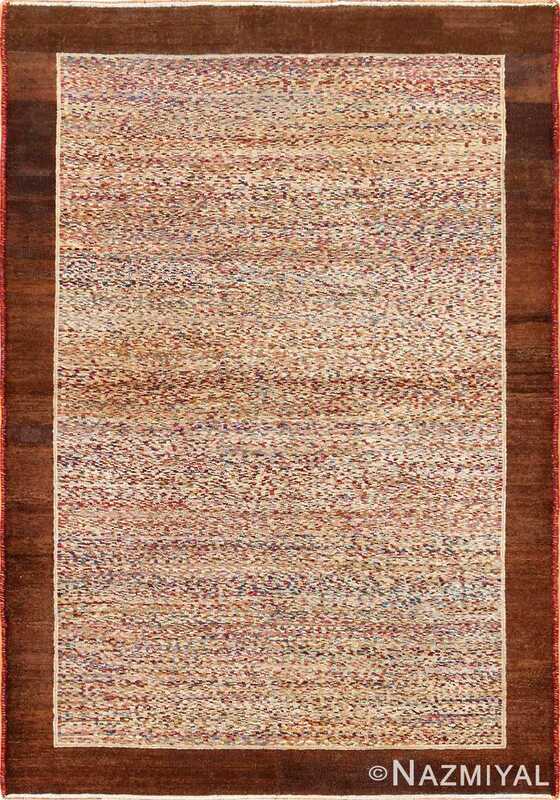 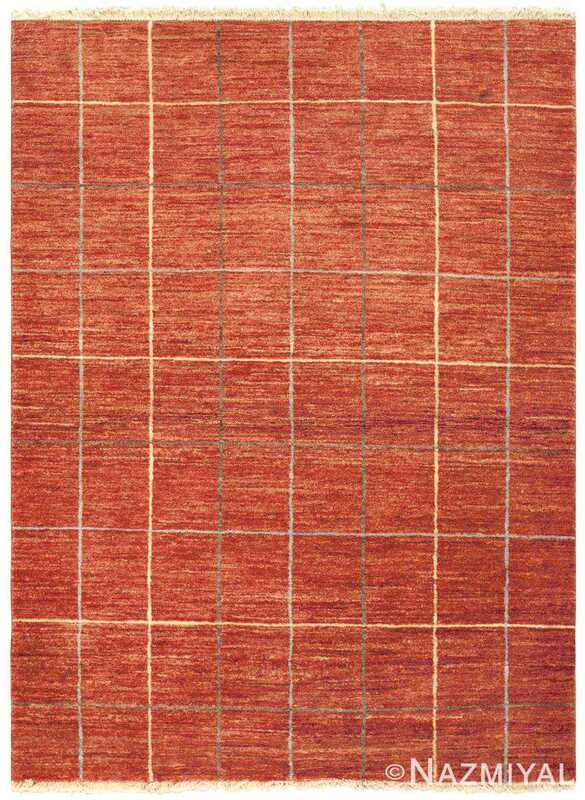 This lovely antique Indian Oriental Agra rug exhibits an allover pattern of irregular fine checkers in various reds, browns, blues, greens, and tans repeating endlessly across the field. 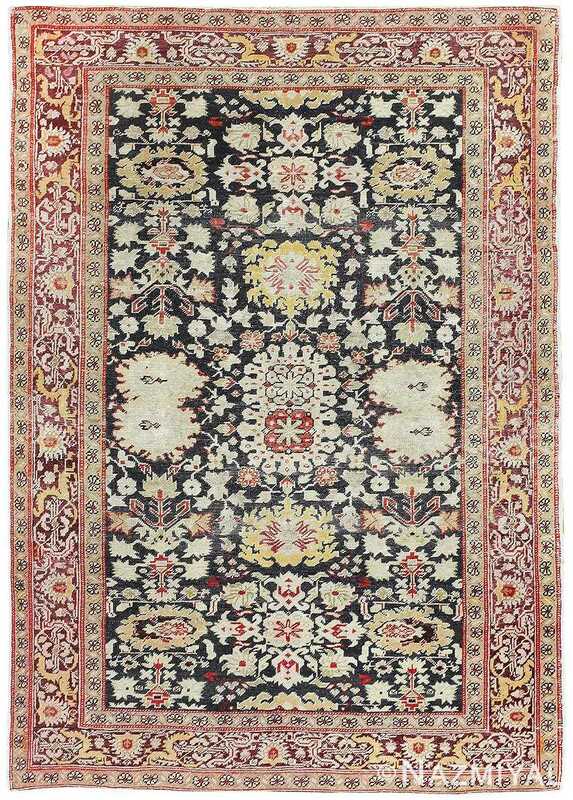 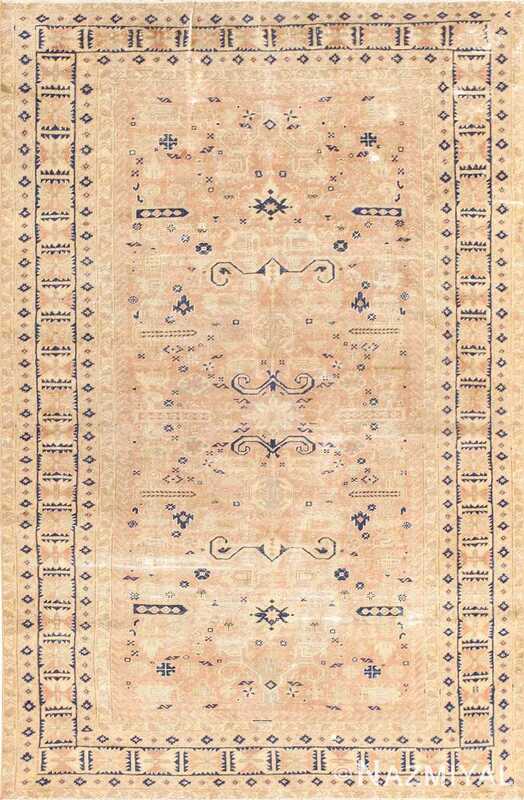 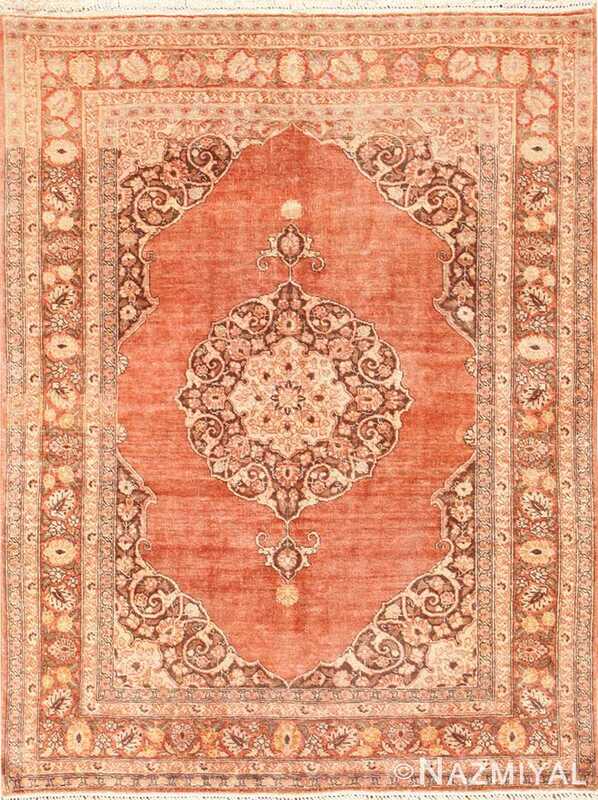 This antique Turkish carpet is enhanced by the wear that shows throughout its charming classical composition. 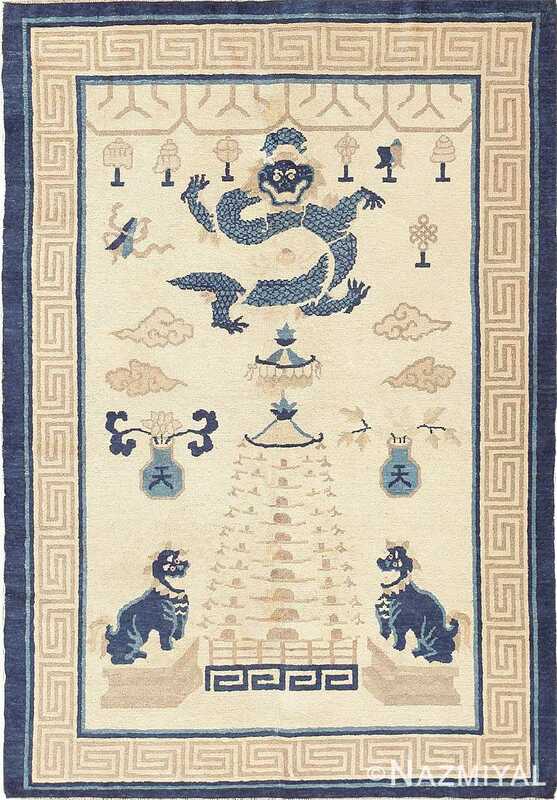 This beautiful, representative antique Chinese carpet is resplendent with traditional Chinese iconography, as well as a traditional color pallet of ivory and blue. 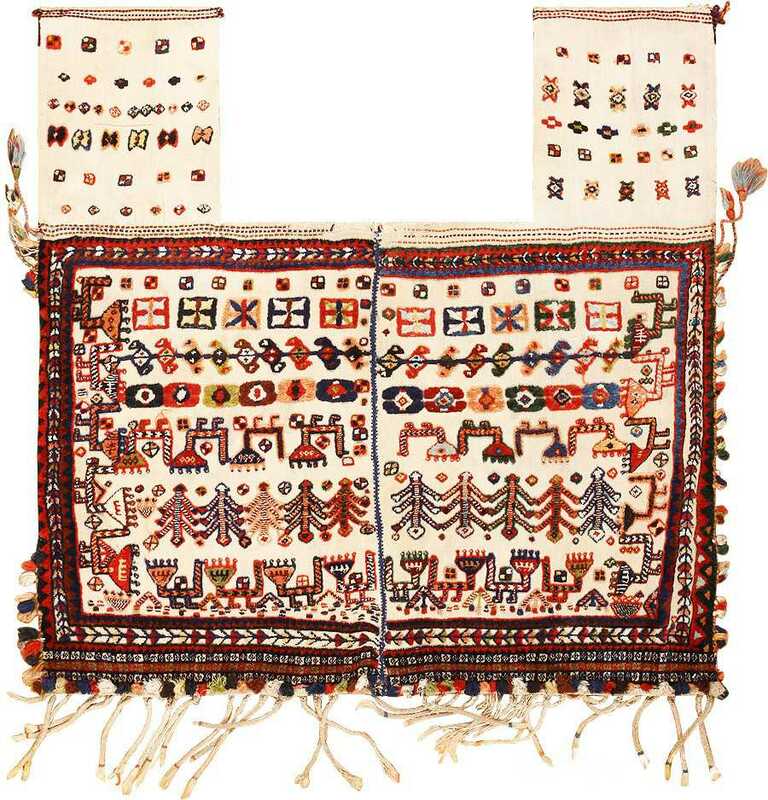 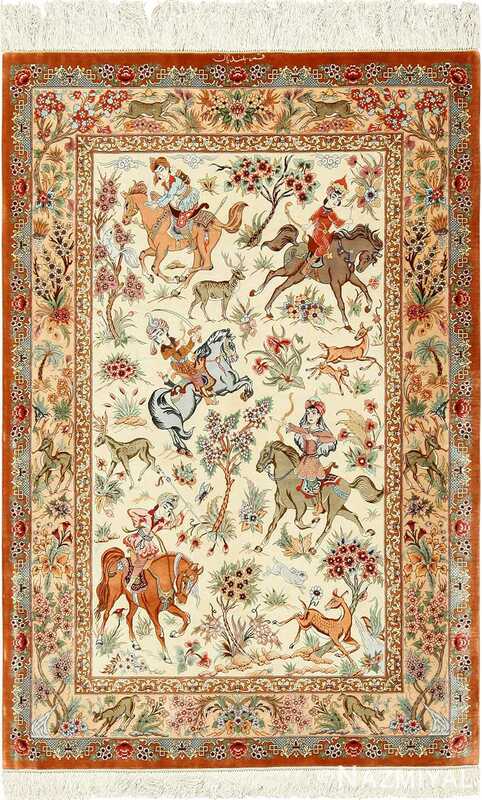 Beautifully rendered Persian lions dance along the lower perimeter of the carpet, infusing this antique horse cover with an even greater sense of cultural value. 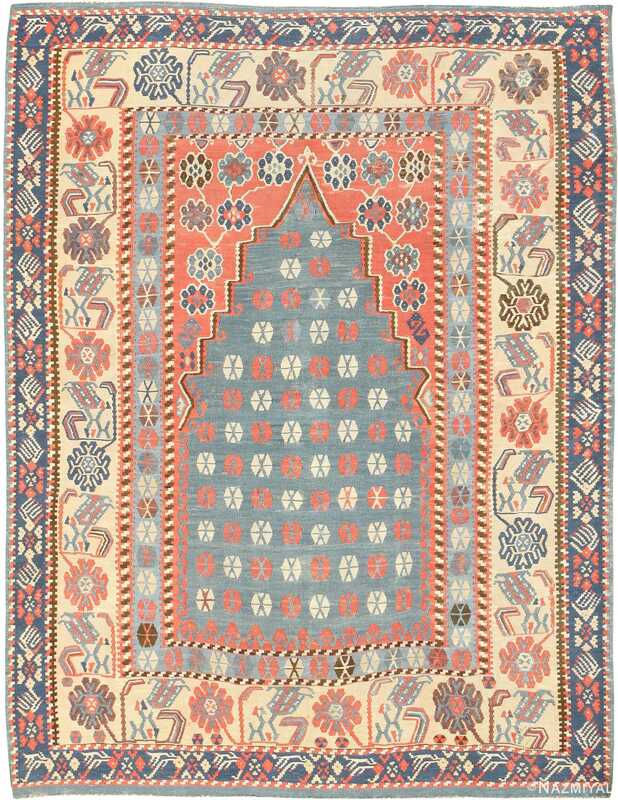 Drawn in a regal angular style, this stunning antique Turkish rug showcases a host of glamorous, boldly colored botanical emblems set in a monumental composition. 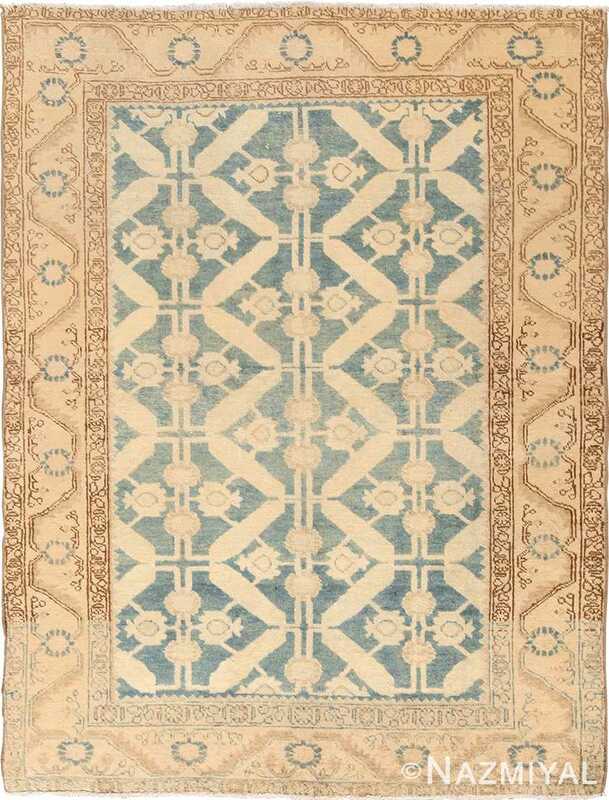 Striking rectilinear compartments and cubist elements bracket the soft oatmeal-colored field of this sophisticated French art deco carpet created circa 1935. 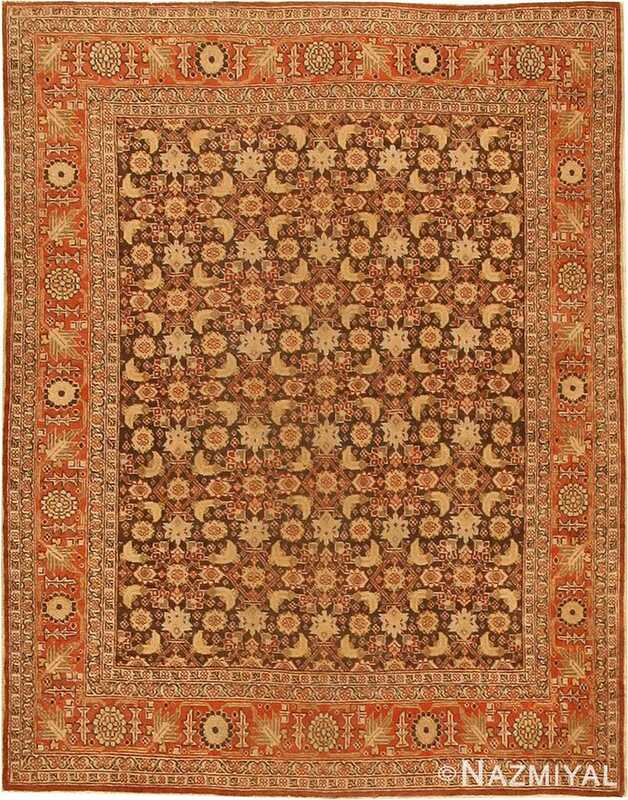 A complex Herati design in shades of tan and burgundy repeats in precise allover symmetry across the rich cocoa ground of this lovely antique Tabriz from Persia. 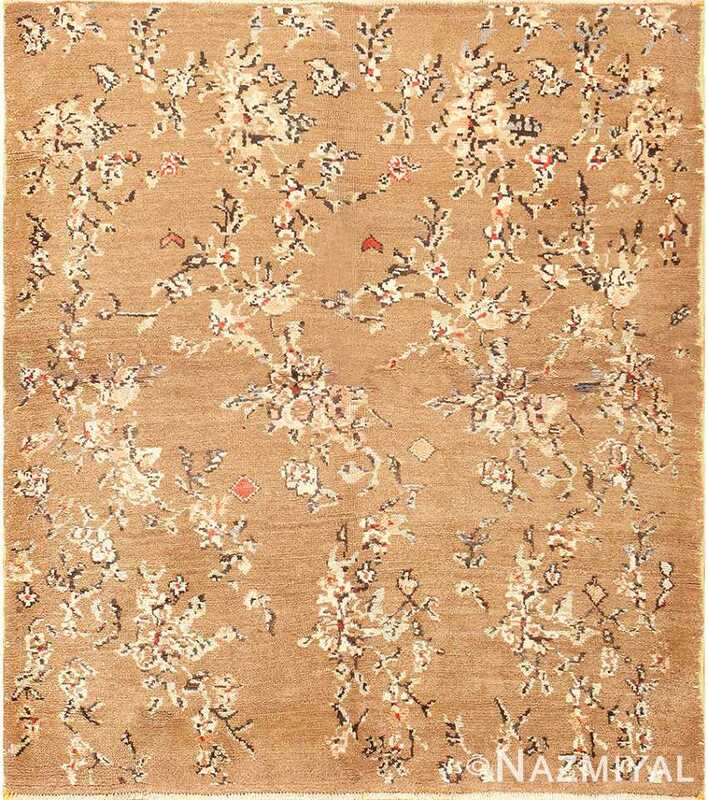 Exceedingly complex throughout, this charming Ghashgai rug exhibits a very exciting array of abstract, geometric shapes, as well as a soft and subdued pallet. 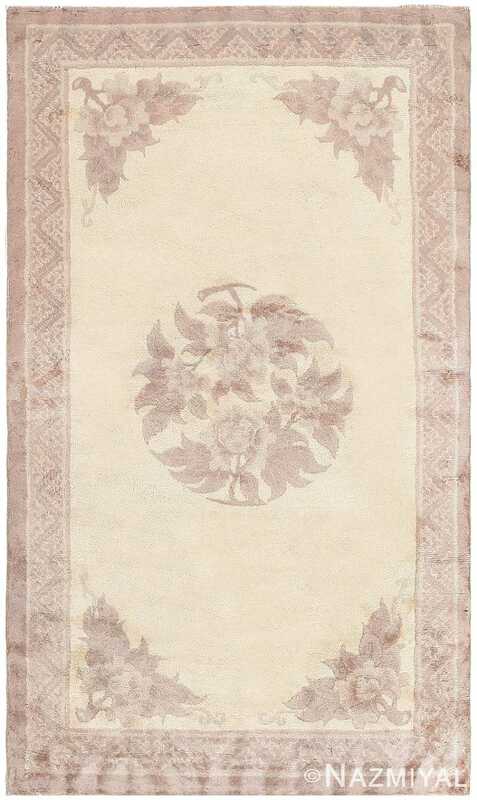 A beautiful ivory field is the first noticeable quality of this exceptional piece, followed immediately thereafter by its remarkable treatment of animal figures. 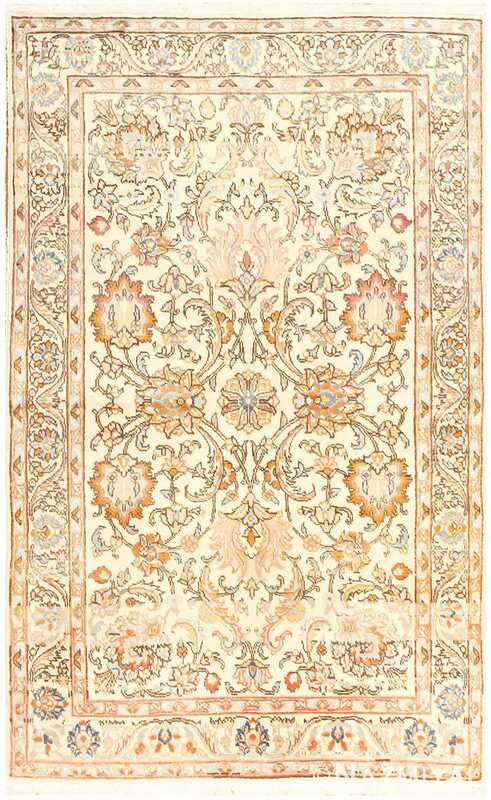 A beautiful ivory field and characteristically geometric line work characterize this antique Kirshehir prayer rug, the floral details of which lend it an ephemeral quality.